At the bottom of this post I’ll show you how to opt out of Google’s Shared Endorsements with just two clicks. So, what is Google’s Shared Endorsements? 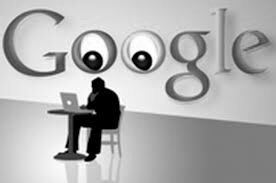 Yesterday (10/II/13) Google announced its intention to opt you into a new program that will use you to help Google sell stuff to your friends, family and co-workers. The program is called Shared Endorsements and if you have a Google account you’re already signed up to go to work for Google. Is Google offering you any form of just and fair compensation for your endorsements? No! And until they do I suggest you do like I did and resign. I’ll show you how to do that in a minute. Here’s how Shared Endorsements works. Let’s say you follow something on Google Plus like a coffee shop or a bakery or let’s say you give a song four stars on the Google Play music service, for instance, that means that your name, photo and endorsement could show up in ads for that coffee shop, bakery or song. Yes, I said your name and photo. Google will use your Google accounts profile picture, provided you have one, and your Google accounts profile name when hawking wares to your friends. What Google should have done, of course, is to have let everyone opt IN on this deal instead of automatically enrolling us and then giving us the option to opt OUT. But at least, unlike Facebook, (unlike Facebook – that’s funny) Google is making it fairly simple to opt out of seeming to try to sell products to our friends. If you are logged into your Google account, this link will take you to the page where you can choose to opt out of Google’s Shared Endorsements. Once there, scroll to the bottom and look for “Based upon my activity, Google may show my name and profile photo in shared endorsements that appear in ads.” Click to un-check the box in front of that statement. And then click the blue Save button and you’re done. If there is no check in the box, you’re good to go.